Sony Centre in the UK has entered the festive spending season with Magic Bag, thirty seconds of VFX goodies developed in Sweden by Atmosfar and Swiss International. 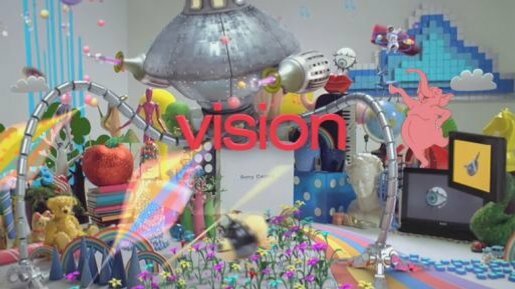 The commercial brings together an assortment of objects that demonstrate stores’ range of stock in the fields of vision, sound, computing and imaging. A teddy bear jumps out of a Sony Centre shopping bag, soon to be joined by music, cartoon characters, space mobiles, lipstick, screeens, blocks and scientifically-driven gadgets. The Magic Bag ad was developed at TBWA London by creative director Frazer Jellyman, art directors Jonathan Thake and Lee Tan, agency producer Tamara Kennon. Filming was shot by director Henrik Hallgren via Atmosfar, Stockholm, with producers Henrik Eriksson and James Howland. Hallgren is represented in the UK by Rogue Films. Post production was done at Swiss International, Stockholm, by VFX supervisor Leo Wilk, producer Emma Rosas Hott, computer graphics artists Stefan Andersson, Joel Lindman, Mats Ullberg, Johan Vikström (3D) and Markus Bergqvist, Victor Norberg, Mikael Pettersson, Mikael Söderberg (Shake).